In this 5-day student tour, you will witness the magnificent sites like the Terra-Cotta Warriors in Xi’an, the Longmen Grottoes in Luoyang, and participate in many featured activities, such as learning Kungfu with masters and painting Chinese folk pictures. Sightseeing, special activities, accommodation, transportation, and meals are carefully arranged with consideration of safety, level of interest, and budget. 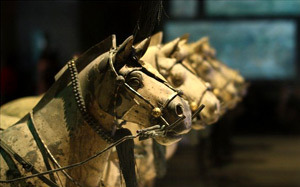 Upon your arrival, meet your guide and transfer to your hotel in Xi’an. 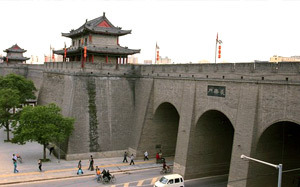 Xi’an, the ancient capital for 11 dynasties, is also the eastern end of the Silk Road. Enjoy the rest of the day to explore Xi’an on your own. In the morning, transfer to the train station and take a bullet train to Luoyang (1 hour and 40 minutes). Located in the middle reaches of the Yellow River, Luoyang once served as the capital city by 13 dynasties starting from 21 century B.C., and has been the cradle of the Chinese civilization ever since. 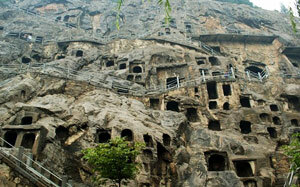 Upon your arrival, meet your guide and pay a visit to the Longmen Grottoes (UNESCO). 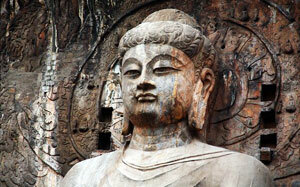 The Longmen Grottoes is one of the Three Major Buddhist Grottoes in China. Carved 1500 years ago, the grottoes is the long-established art form which plays a significant role in the evolution of Buddism in Asian. 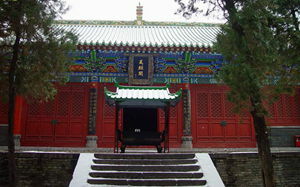 It has over 100,000 Buddhist images and statues inside. 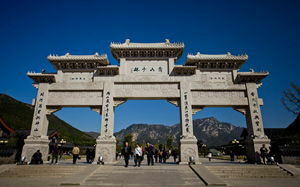 In the morning, take a car ride to the Shaolin Temple (UNESCO). Coming up next is the best part you could ever imagine – a Chinese Kungfu course (2 hours). Then, transfer to the train station and take a bullet train to Xi’an (1 hour and 40 minutes). Upon your arrival, meet your guide and transfer to the hotel. 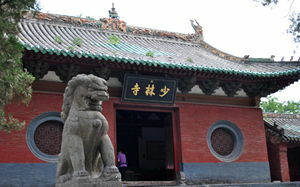 Established in the 5th century, the Shaolin Temple (UNESCO) is world-famous for its connection with Chinese martial arts - Shaolin Kung Fu. China’s biggest pagoda forest also lies in Shaolin Temple, which is a concentration of more than 240 tomb pagodas for abbots and eminent monks of the temple. 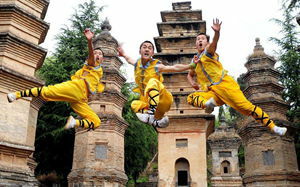 Coming up next is the best part you could ever imagine – a Chinese Kungfu course (2 hours). Here the Kungfu School is one of China's greatest patrimonies sitting in tranquil mountains, the birthplace of Taoism, which will give you a picturesque and peaceful landscape for training mind and body. Today, take a 1.5-hour car ride to Hu County and learn folk art painting at the Art Studio of Pan Xiaoling. Pan Xiaoling is one of the most famous peasant painters in China, and her art studio is located in the rural village not far from Xi’an city. Also there will be an opportunity to learn the traditional art-paper cutting. Then, transfer to the airport for your departure. 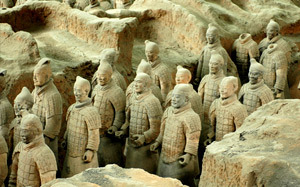 Travel route Raiders: “Ancient Xi’an & Luoyang Student Tour ”introduces you to Xi’an travel guides, Xi’an holiday guide and customized personalized service for your Xi’an travel routes as well as Xi’an vacation packages. There are real Xi’an tourist route evaluation, travel Q&As. If you would like to book tickets and hotels, to find China travel agencies / China tour companies for your travel to China.